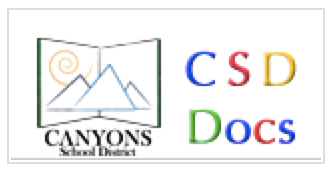 Click Here to view "How to Create a Resource List"
CSD Docs is Canyons Google documents. To sign in, you will need your regular computer sign-in and password. Engage students in learning with Nearpod. Teachers at Canyons have a Nearpod account. Topic too broad? If your students are having a hard time narrowing down their topic idea, try Topic Finder. Go to www.onlinelibrary.uen.org, select Gale Reference Collection 9-12, then select Infotrac Student Edition. Click on the Topic Finder. Students can type in their broad topic and use either the wheel or the tile to narrow their topic down.